Rogue pharmacies using Twitter to peddle powerful painkillers and counterfeit drugs can be identified by big data analytics, a new study has revealed. Due to be published in the November issue of the American Journal of Public Health, the study by researchers at the University of California San Diego successfully used a methodology that identified tweets with specific keywords that were advertising the sale of opioid drugs directly to consumers in violation of US federal law. Using big data, cloud computing, machine learning and web forensic evaluation, the researchers were able to filter tweets using keywords including Percocet, Vicodin, OxyContin, as well as fentanyl, isolate those that were related to the marketing of opioids and analyse posts with hyperlinks to external websites. Over a five-month period in 2015, almost 620,000 tweets were analysed that were found to contain keywords for addictive opioid prescription drugs including codeine, Percocet, fentanyl, Vicodin, OxyContin, oxycodone and hydrocodone, Dr Timothy Mackey, associate professor of anaesthesiology and global public health at UC San Diego School of Medicine, and co-author of the study said in a statement. “Of these, 1,778 tweets (less than 1 per cent) were identified as marketing the sale of controlled substances online and 90 per cent had imbedded hyperlinks, but only 46 were ‘live’ at the time of our evaluation,” he said. Seven distinct URLs were identified as linked to websites marketing or illegally selling controlled substances online and included registry information from several countries, with many linked to Pakistan. Using the internet to market and sell controlled substances directly to US consumers without a prescription is illegal under the Ryan Haight Online Pharmacy Consumer Protection Act of 2008, so named after a San Diego teenager who died after buying prescription opioids online. 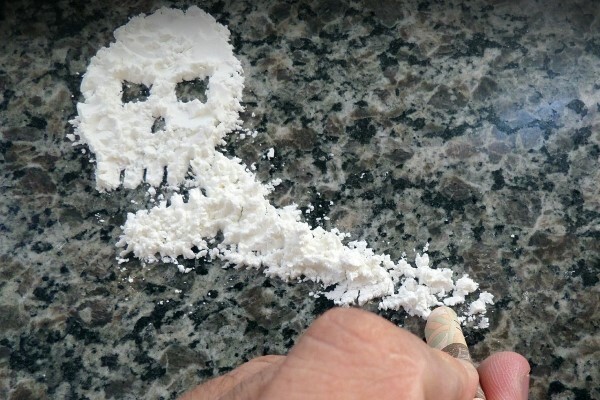 “As evidenced by our findings, extremely questionable vendors are illegally advertising highly addictive controlled substances and selling them directly to consumers via Twitter using different strategies, including ‘no prescription required’ websites and online classified ads, without the necessary oversight of a clinician, regulatory agency, or state public health or law enforcement agency,” Mackey said. The researchers believe the machine learning methodology can successfully be used in the future to identify live illegal online sellers of prescription opioids from large volumes of tweets, as well as active surveillance, and potentially help build a criminal case against dealers and enforce the Ryan Haight Act. The US is currently in the grips of an opioid epidemic, which claimed more than 64,000 lives last year – a 22 per cent rise on 2015. Experts believes the figures for 2017 will be higher still. US President Donald Trump is widely expected to declare the crisis a public health emergency but will stop short of declaring it a national emergency, which is what he has previously hinted at. A number of measures have been introduced over the past few years aimed at reducing the prescriptions, dosage and abuse of prescription opioids. However, a shortage in prescription opioids has led to addicts moving to heroin, which is now increasingly being cut with illicit fentanyl – a licensed drug for severe pain that is 50-100 times stronger than morphine – which produces a stronger high and provides dealers with significant profit margins. The influx of illicit fentanyl has also led to a boom in counterfeit opioid painkillers laced with fentanyl, many of which are easily purchased online through rogue pharmacies. Last year, the US Drug Enforcement Administration said counterfeit opioids adulterated with illicit fentanyl were exacerbating the crisis. In September, the Interpol-led Operation Pangea X took down 3,584 illegal websites and more than 3,000 online adverts for illicit pharmaceuticals. Seizures of fentanyl purchased from illicit online pharmacies occurred in several countries with numerous websites exclusively selling the drug closed down. While policies have been introduced aimed at curbing prescription opioid abuse “the role of the internet and its continued promotion of prescription opioid abuse remains inadequately addressed”, Mackey said. In response to the UC San Diego research, Libby Baney, global executive director of the Alliance for Safe Online Pharmacies (ASOP), said more work was needed to stamp out illegal online pharmacies. The research was part-funded by a grant from ASOP.